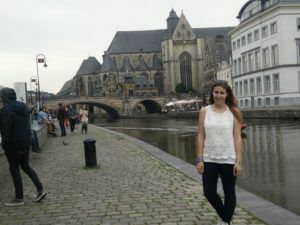 In AEGEE-Zaragoza you can meet Celia Riveres López, a member who is very active in her local (she is the President), but also on the international level with the Netcom of La Nave (Spanish, French and Portuguese speaking locals), Alejandra Piot. In this interview, she tells us also something about the Renove, an event that takes place every summer in Spain. The AEGEEan: Who is Celia in- and outside AEGEE? Celia: If I’d have to describe myself, I would say I am a very active and positive person who loves enjoying life, travelling and meeting people. You will never see me bored because I am constantly joining new projects and ideas that make my day full. 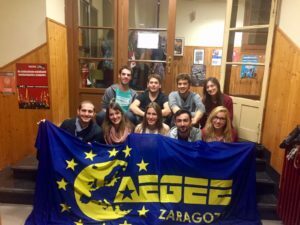 I have been a member of AEGEE-Zaragoza since March 2013 and, ever since, I have been active, attended as many events as possible and helped as much as time has allowed me. Currently, I am AEGEE-Zaragoza’s President but I also have other responsibilities such as being Alejandra’s Subcommie. Outside AEGEE, I am a lovely Design engineer with a great passion for teaching (actually I have a Master’s degree in high school teaching). Currently, I work for a startup in Zaragoza that will soon rock it. You are the President of your Antenna. How was the experience until now? What did you learn? Well, I still have many months to go as the president of AEGEE-Zaragoza, but there are some things that are remarkably important from my experience. 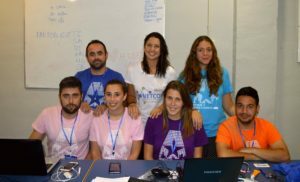 Overall, the experience is great and I am extremely happy to work with the rest of the board and active members of AEGEE-Zaragoza. We all are the engine to make everything possible. This antenna is insanely active and we always come up with many new and motivating projects. As a hint of what we are preparing, we will organise an amazing Summer University focused on volunteering that will include loads of surprises, new experiences to live and astonishing places to visit. 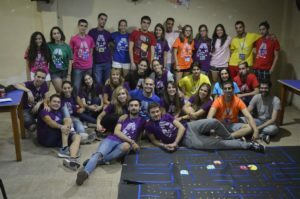 AEGEE-Zaragoza’s craziness is shown by the big and exciting projects we organise and I will just say that we have never organised a European Planning Meeting… May 2019 will be the time? After all these months, what I have learnt is that teamwork is the key to success. It is crucial to keep everybody’s motivation up and very important to value collective work. You worked a lot for the last Renove. What was the best moment? What was the most difficult thing you have experienced? To clarify a little bit the question for the reader, Renove is an event that the La Nave Netcommie organises in collaboration with a local after the summer to ease the transition between not-so-new members and new members, gathering around 150 participants. In this case, as the main organiser, the best moment for me was to see everybody playing Crazy 69. It is a sort of quiz that requires interaction with people from the village we stayed and having fun learning about AEGEE. The most difficult thing was saying goodbye to the participants (although we got a good sleep afterwards). Are you happy with the results and proud of them? Would you change anything when you look back? Absolutely, organising Renove has been a unique and unforgettable experience. I am definitely proud of the team and the results we achieved. I am really looking forward to new adventures. get through non-formal education. As a negative thing, it may be the over-structure and complexity of AEGEE that prevent especially new members from understanding how they can better contribute to it. I do not have any strictly defined plan, but I would want to continue helping AEGEE-Zaragoza. As a new challenge, I want to help in the implementation of the Equal Rights focus area. 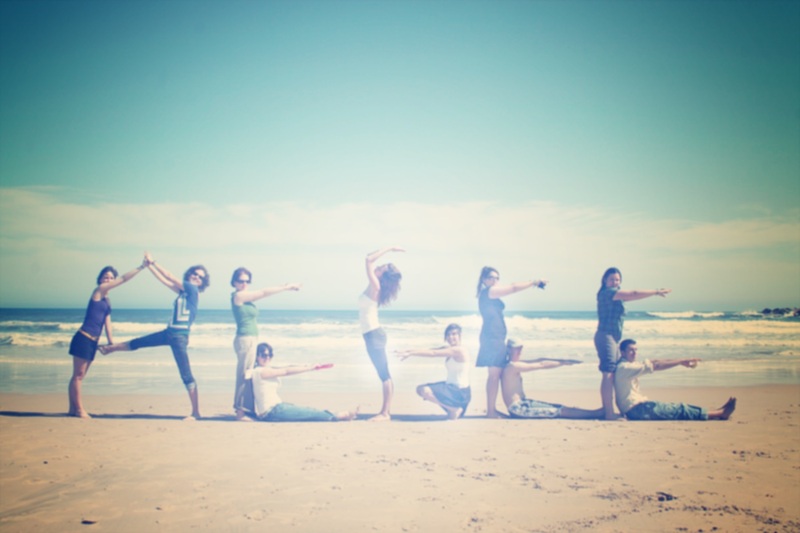 Describe your personality by using the initials of your name.